Baghdad (AFP) - US-led air support broke the deadlock in Iraq's operation to retake Tikrit from the Islamic State group, a senior military official in the coalition carrying out the strikes said Thursday. "Air support became the key factor in this," the official told AFP by telephone. "That's what enabled us to restart, with the (Iraqi) ground element, the momentum which has led to this success" against IS jihadists, who had held the city north of Baghdad for almost 10 months. Iraqi forces still would have been able to retake Tikrit without that air support, "but it would probably have taken a little longer," the official said. 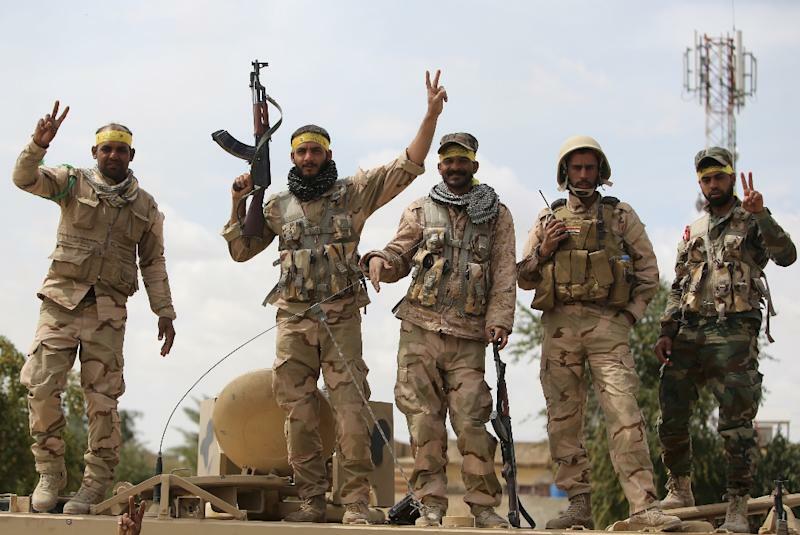 Iraqi soldiers, police and paramilitary forces that are dominated by Iran-backed Shiite militias began the operation on March 2. They recaptured nearby towns and were able to surround the city within two weeks, when the campaign stalled, with commanders saying the halt was an effort to avoid casualties and damage to infrastructure. Iran was Baghdad's main foreign partner for much of the operation, but Iraq eventually requested coalition air strikes, which began on March 25. The coalition announced it carried out more than three dozen strikes until the city was retaken. That prompted a backlash among key militia groups, with commanders saying they were halting offensive operations in response to the strikes -- an outcome the coalition wanted anyway. But Shiite militia groups still had a significant presence in Tikrit after it was retaken, with their flags outnumbering those of the Iraqi state.